Gail Simone on Twitter this week mentioned that there had been a plan a few years ago for DC to publish outsize comic books with multiple stories from multiple creators. 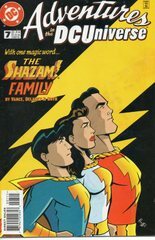 One would have been Superman, another would have been a superteam (she doesn't mention which one) and the one she would have been involved with is one that would have had Grant Morrison, Mark Waid and herself on the three members of the Marvel Family, with the main title rotating. 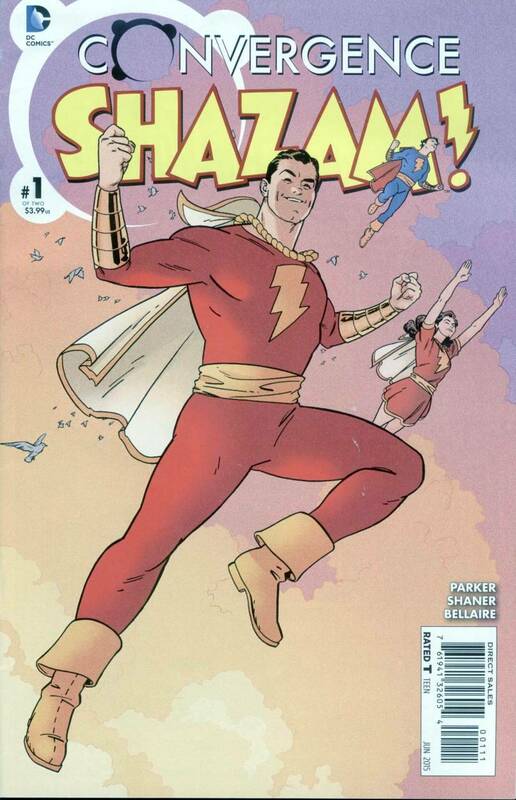 This would have been A) Awesome and B) in line with the old Captain Marvel comics whereby there were distinct stories and creators the individual members each with a distinct art style; CC Beck on Captain Marvel, Mac Raboy on Captain Marvel Jr and Marc Swayze on Mary Marvel. As someone who has not managed to learn to love the current Shazam, this is a rather poignant loss. So to start the new week, let's turn this into a discussion; your dream creative team for a main, or lesser known, character? 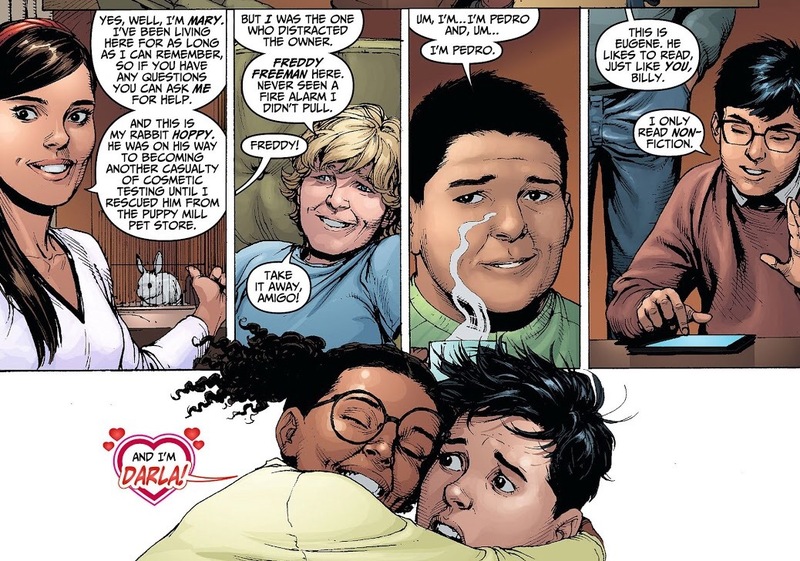 I may object to the concept, but darn it if the first issues of the Convergence titles have been a whole heap of fun, like visiting old friends in their comfortable familiar homes, though knowing that those familiar homes might well be bulldozed the following day/issue. 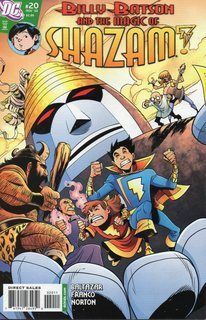 Shazam is a case in point, with great writing from Jeff Parker (writer on Batman '66) and sublime art from Evan "Doc" Shaner. When Superman the Animated Series and Batman the Animated Series were on, they had tie-in comics, the Adventures line. We've seen scans from those every so often. But there was a third title, Adventures in the DCUniverse that covered everyone else in the DCU in kid-friendly stories. 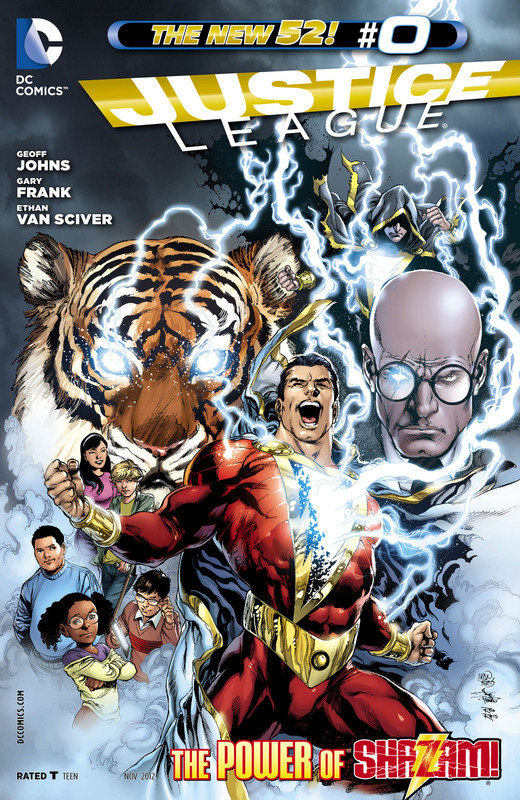 This version draws most closely on the Jerry Ordway Power of Shazam continuity. 7 pages of 22. Now we wait for the newest Shazam-related series to find a hole in the schedule.